Probably THE error box in Revit that have caused me the most grief, over the years I´ve spent hours and hours on trying to work around it. But once I got the hang of it, and not least once I understood WHY Revit would throw that error box at me, it´s not that bad. Hope some of you will find this helpful. So again, if you need to multiply 3 length units in a Area or Length parameter, you´ll need to neutralize the units as above. There´s probably a gazillion other possibilities, but I hope that this explains why we are getting the Inconsistent Units Error, and how to work around it. 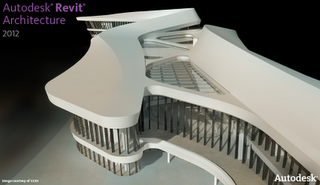 Have you found creative ways to integrate and use Autodesk® software on real-life projects? Have you developed processes that improve company workflow and efficiency? Do you have ideas about where your industry is headed? 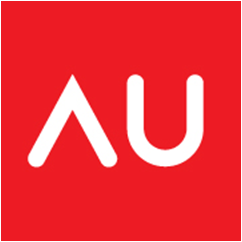 If so, consider becoming a speaker at Autodesk University 2011. Each year, AU presents a series of face-to-face and virtual events that offer an excellent curriculum taught by outstanding speakers who are leaders in their industries. There has been lots of blogging about the new features in Revit 2012 over the last couple of days, but to my surprise I´ve not seen the the new rounding functions mentioned yet. OK, it may be a minor feature to most, but I use formulas a LOT, and find these new functions pretty sweet. I also posted this, and lots of other formulas to use in Revit, in this thread at the Revit Forum. Values in formulas can be now rounded up or down. For example, when riser height is calculated, one needs the function “round” to find the appropriate value. The round function returns a number rounded nearest to a whole number. It doesn’t take into consideration rounding direction (round up or down). If the number is (for example) from 24.5 to 24.9, the function rounds it to 25. If it is from 23.1 to 23.4, the function rounds it to 23.
number is the number to round. “x” is a unitless value that should return the largest integral value less than or equal to x.
number is the number to round up. “x” is a unitless value that should return the smallest integral value greater than or equal to x.
number is the number to round down. It all started with a challenge to create an L shaped corner piece, and to control the angle of the "L" by a parameter, so that it could adjust to any angle between 5 and 355 degrees. Aaron Maller for his post in the Casework Thread, explaining when to use shared nested families, and when not to.